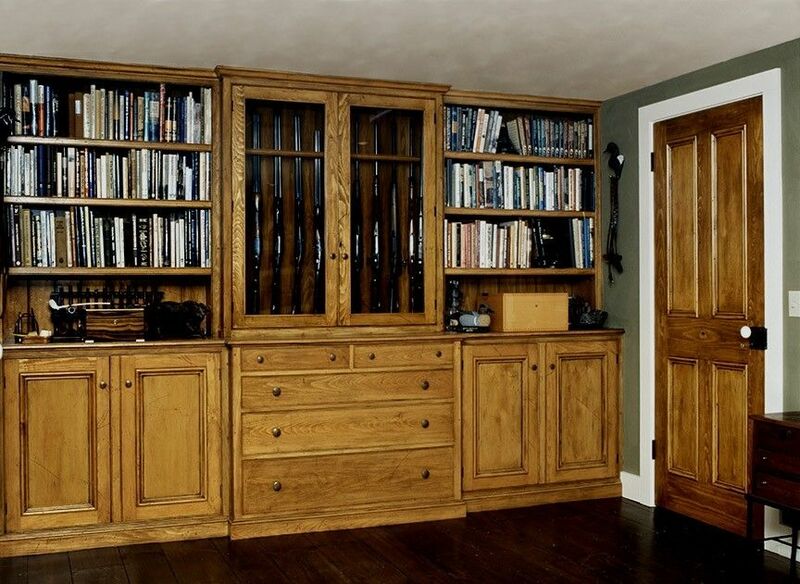 John didn't have storage enough for his collections of knives, shotguns, humidors, fishing rods, fishing nets, sporting books, fly-tying equipment, etc. He also needed to accommodate raucous gatherings of men, cigars and the prerequisite cocktails. John's pine study addresses these needs, while to all appearances having been there since Ethan Allen trod the Green Mountains: the traditional pine cabinetry is aged two hundred years with colorants and blunt instruments.